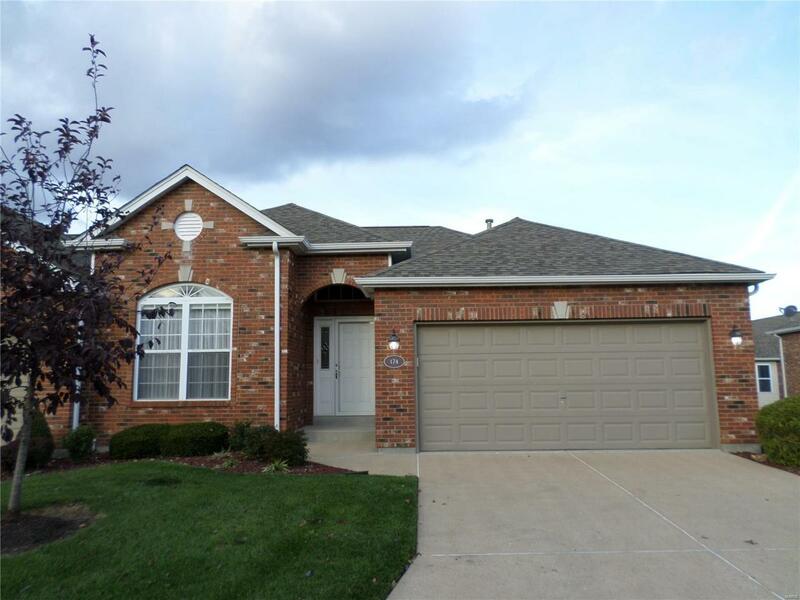 Great updated move in ready! 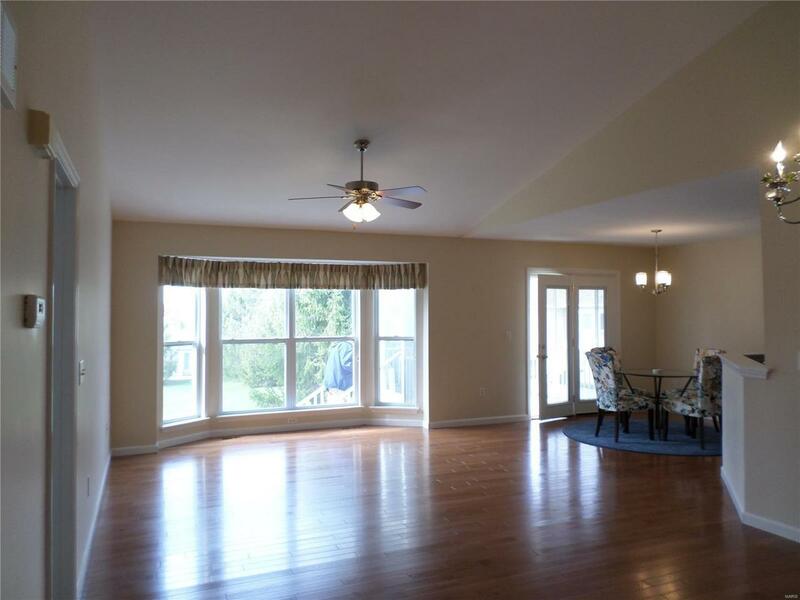 Newer hardwood floors in Greatroom, Dining room, Kitchen, and Breakfast Room! Cathedral Ceiling and open floor plan! Newer carpet through out including the lower level! Updated bathrooms! Great location! 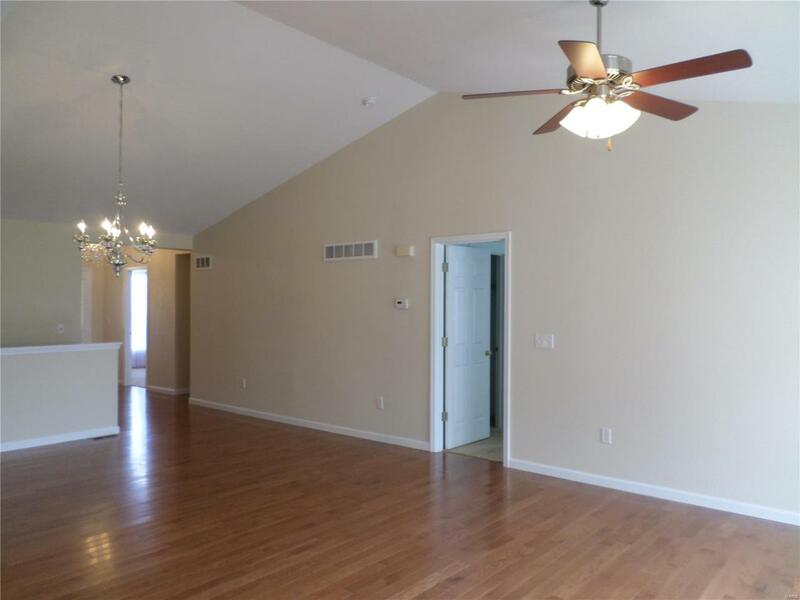 Part finished basement includes a Rec/Family Room of 21 x 16, and Full Bath! 3 Full Bathrooms! Coffered ceiling in master bedroom! Luxury Master Bathroom with separate shower and tub! Recently painted a nice neutral color! Screened in porch off of the breakfast room! Nice lot with privacy! Roof approx. 1 year old! Main Floor laundry! 4 sides brick! Bay window in great room! Soaring entry foyer! 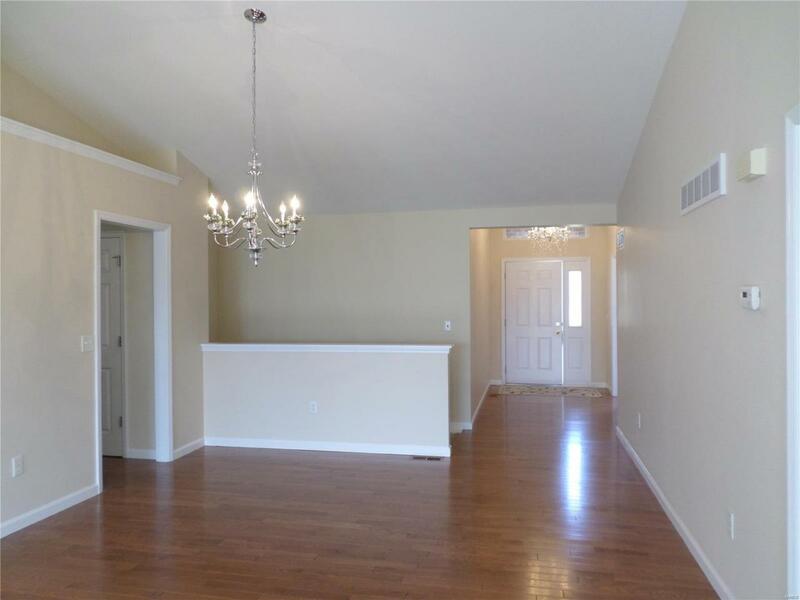 Both bedrooms have coffered ceilings! Walk in closet! Tree lined common ground! Great curb appeal.